Very Good. 0399593489 First Edition. Signed by the author on a specially bound in page. Near Fine/Near Fine. Bump on rear board along bottom edge, else a lightly used copy. "Signed Copy, " sticker on front of jacket. Dust jacket in a mylar protector. Very Good. 0399593489 Ships quickly. SIGNED by author on second front endpaper. Stated first edition. Number line 9 8 7 6 5 4 3 2 1 DJ fluttered at top edge. Mild shelf/reading wear. Orphans Treasure Box sells books to raise money for orphans and vulnerable kids. Fine in fine jacket. NOT an ex library book. Signature of author on second front endpaper. Clean interior pages. Dust jacket has no chips or tears, price is not clipped. Signed Copy label on cover. Fine in fine dust jacket. Signed by author. 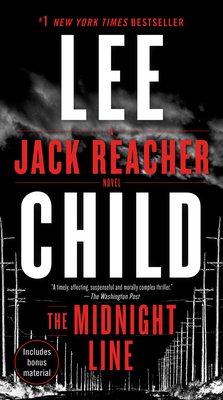 First US edition first printing of the twenty second novel in the Jack Reacher series. SIGNED by the author on the title page. In fine / fine condition. Sewn binding. Cloth over boards. 384 p. Jack Reacher, 22. Audience: General/trade. New in new dust jacket. Sewn binding. Cloth over boards. Jack Reacher, 22. Audience: General/trade. Fine in Fine jacket. Book. Signed by Author(s) Signed on a tipped-in page. all book shipped in a sturdy box. As New in As New jacket. Book. Signed by Author(s) An Outstanding Copy-Signed By Both Authors On The Title Page. Signature Only. A First Edition, First Printing. Book Is In Fine Condition. Boards Are Clean, Not Bumped. Fore Edges Are Clean. Interior Is Clean And Legible. Not Remaindered. Dust Jacket Is In Fine Condition. Not Chipped Or Crinkled. Not Price Clipped. Dust Jacket Is Covered By Mylar Brodart. Thanks And Enjoy. As New in As New jacket. Signed by Author SIGNED by the AUTHOR on the Title page. Signature only. A First edition, First printing. Book is in Fine condition. Boards are clean, not bumped. Fore edges are clean. Interior is clean and legible. Not remaindered. Dust Jacket is in Fine condition. Not chipped or crinkled. Not price clipped. Dust Jacket is covered by Mylar Brodart. Thanks and Enjoy. All-ways well boxed, All-ways fast service. Thanks.